Keeping your systems secure is a round the clock operation, we provide a package of management services and technical expertise to keep your vital systems safe and secure against emerging threats. Our endpoint security suite can protect your systems from viruses, spyware, riskware and rootkits. We employ sophisticated heuristic algorithms and constant live monitoring to keep your organisation safe. Keeping up to date with the latest patches for all of the software across your organisation is a headache and one that cybercriminals exploit on a daily basis. Our active patch management solution will keep all of your endpoints up to date and secure. Encryption is great but without a centralised key management system in place you can get locked out of your data forever – a nightmare scenario! 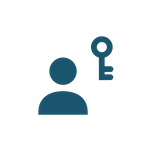 We can help you manage your cryptographic keys so that the right people have the right access at the right time. Physical security is one of the first steps in ensuring that your data doesn’t fall into the wrong hands. 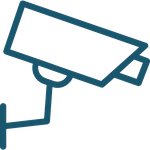 We can install high definition network enabled CCTV systems for your organisation.